This blog post contains affiliate links. This recipe has been modified from a Food Network recipe. My family sometimes gets so mad at me because I take ingredients from a recipe and change them all around to make them healthier. Occasionally my recipes are complete flops but other times the ingredients all work and I have a healthy masterpiece. I made over this blueberry crisp using healthier ingredients. It was a big hit in my household. So, to celebrate my 41st birthday I'm sharing a recipe and giving away $25.00 in Paypal cash. Combine blueberries, cornstarch, sugar, and salt in a bowl. In another bowl combine flour, oats, sweet blend, cinnamon, and nutmeg for the topping. Add butter in chunks. Mix until crumbly. 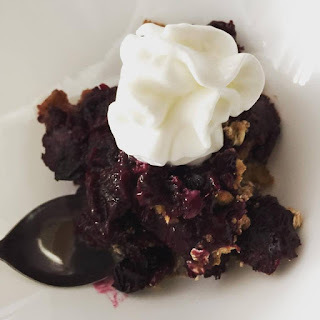 Add blueberries to a baking dish. Top with crumb mixture. Bake at 375 for 40 minutes. Top with fat-free Redi whip. 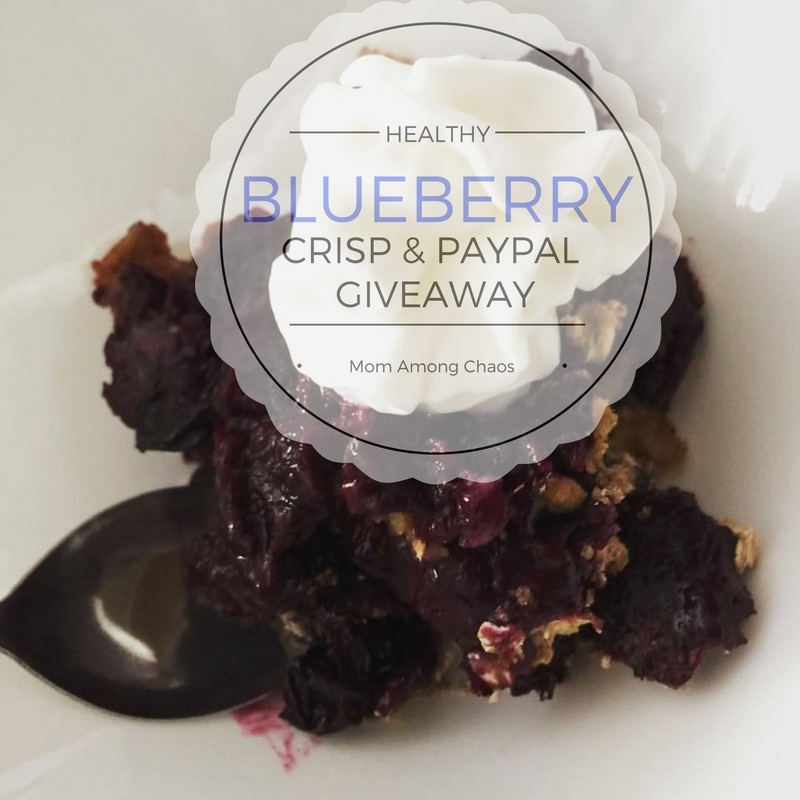 Enter to win $25 Paypal cash from Mom Among Chaos in the form below. Ends 9/30/16. The winner must live in the USA. The winner is subject to verification. The winner will have 24 hours to respond before another winner is selected.